This chicken recipe is easy and delicious. Perfect for a family dinner but also perfect for a BBQ with friends – just double the quantities and arrange on a large serving platter, with the rice underneath and the chicken arranged over the top. The spring onion slices in the photo are huge because they’re from the garden and everything seems to grow huge at the farm! Any leftovers are good cold. Place trimmed chicken pieces in a heavy-duty sealable plastic bag. Place all ingredients for marinade in a saucepan and heat until sugar has dissolved, then cool. Pour into bag with chicken, close the bag and leave in the fridge overnight. Best to put the bag into a bowl just in case it leaks. Drain chicken and set aside. Pour marinade through a sieve and discard the cinnamon and other bits. Place marinade in a saucepan and bring to the boil. 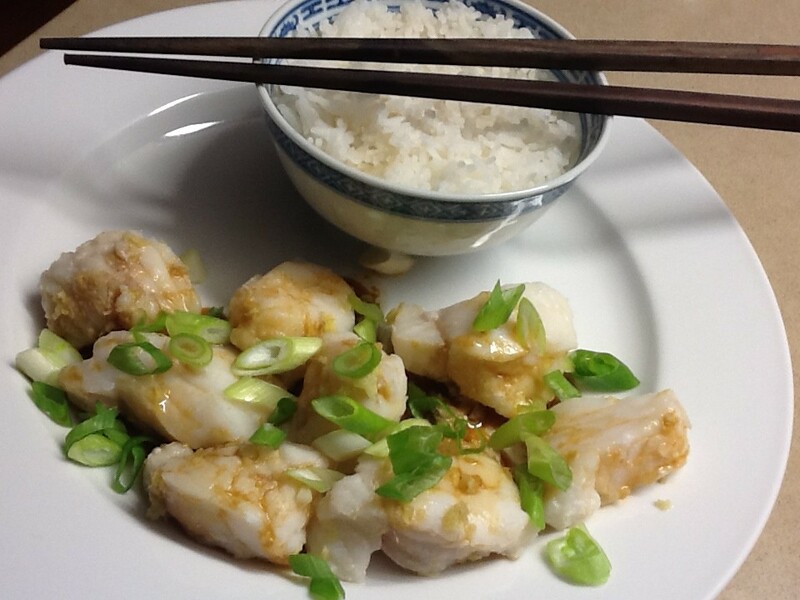 Mix cornflour with 2 Tbs extra water and add to the marinade, stirring until sauce thickens. Sauce should be the consistency of heavy pouring cream. If it’s too thick add a tablespoon or two more water. Preheat a grill or BBQ. Lightly brush chicken on all sides with the sauce and cook for 4-5 mins each side, or until cooked through and nicely glazed. Reheat sauce. 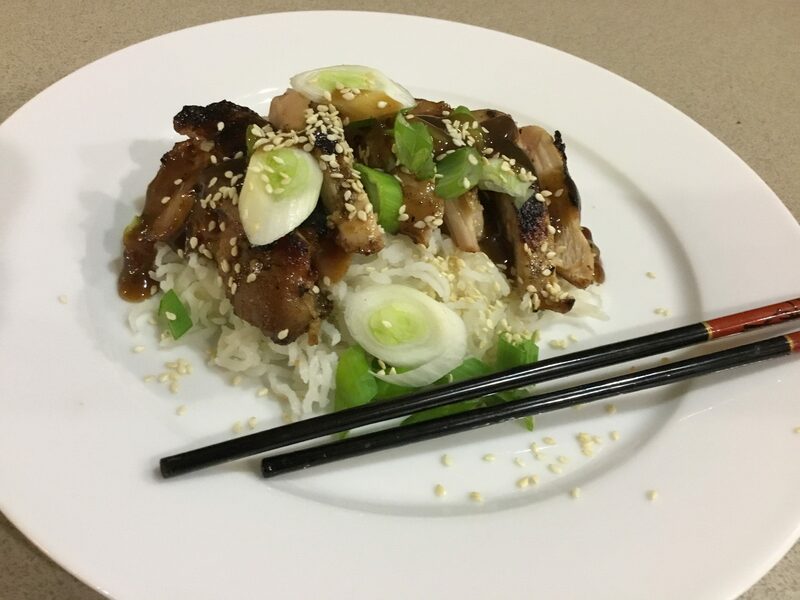 Slice chicken and serve on a bed of steamed rice, drizzled with some sauce and garnished with spring onions and toasted sesame seeds. 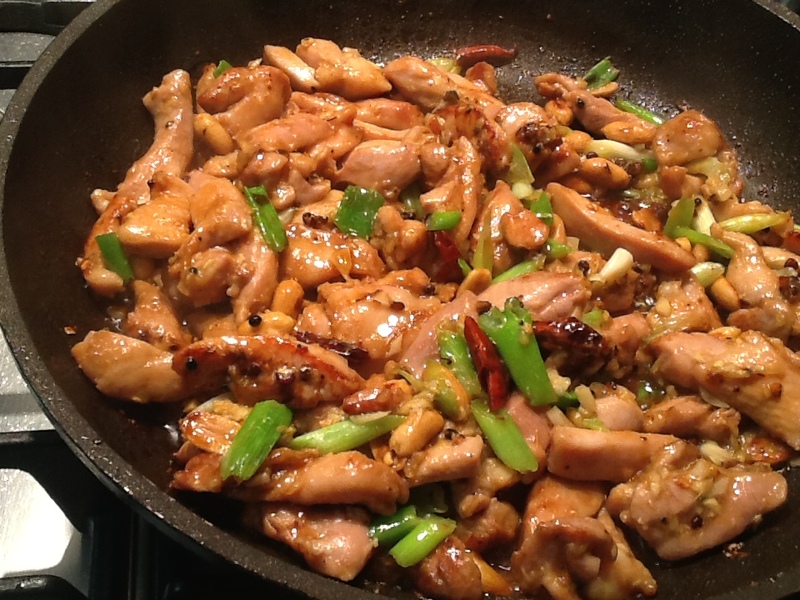 This entry was posted in Recipes and tagged asian, chicken, easy, family by Linda Peek. Bookmark the permalink.